Caren Barber is a phenomenal art teacher in Tupelo, MS. 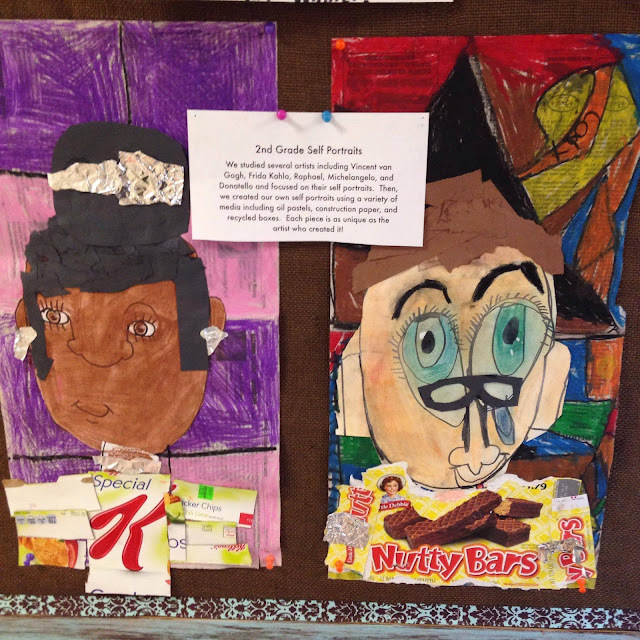 I wanted to feature her on this blog because I've been super impressed with her ability to get her K-2 students to create and express themselves. I've also visited her classroom and can attest that she has excellent classroom management. These are two biggies for art teachers, especially art teachers of K-2 students! What is the most successful project you've ever taught and why? What do you do to feed your own creative spirit? A successful project is the result of engaged students that have learned and gained meaning through the process of creating. They have taken ownership and aren't satisfied until their work fits the picture they have imagined. They won't feel the need to say, "Is this good enough?" 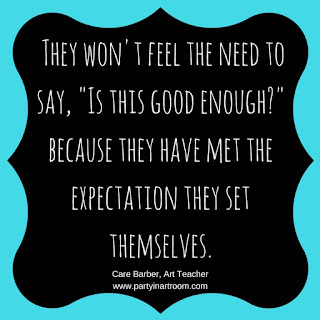 because they have met the expectation they set themselves. A project that always seems to have a unique, as well as successful result, would be self portraits on any grade level. I always enjoy watching the kids create and inevitably the results are as diverse and authentic as the character and personality of each student. we all need to know more info, don't we?!? I teach because it matters. Yes, it matters to me but matters exponentially more to my students. I am human and because of that condition my students unfortunately don't always get the best version of me. But I keep going back because it matters to them. Even when I think it doesn't, my young friends remind me in their own way that it does. This public education that my young friends are part of, for many, is the most positive experience they have going for them right now. They can have two nutritious meals and caring adults that look after them and help them learn. They are warm and safe and dry. And they are so grateful. They may not show it in the most traditional of ways and may not even show it outwardly. But when all is said and done they know that every bit of what goes on at their school is important. Their educational experience will have a great impact of who they are becoming. And if that doesn't matter I don't know what does. Yes, teaching certainly matters. When my creative spirit gets hungry, I find that I must paint to satisfy it. I enjoy painting on nontraditional items and surfaces. Finding lost treasure on the side of the road in need of rescue and paint is one way to do this. 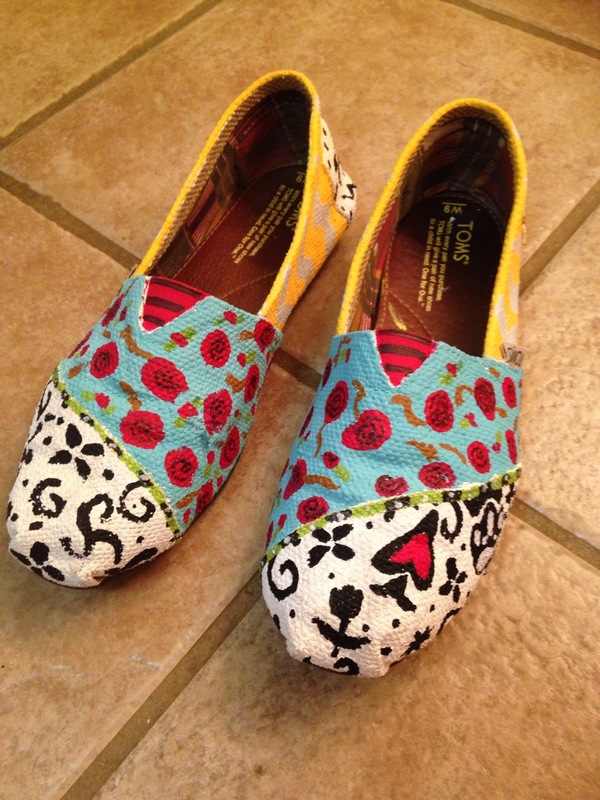 I also enjoy painting shoes. My favorite pair have birds on them. This is a photo of me with Caren Barber at an event for the Association for Excellence in Education. 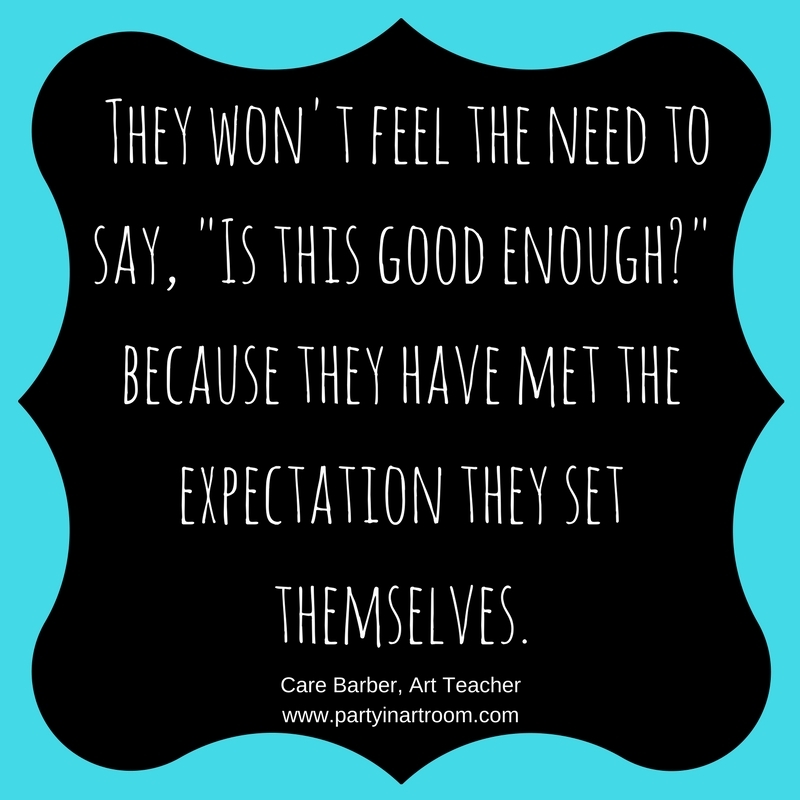 Barber is a blessing to her students and school. She co-leads the arts integration efforts at her school and works to ensure the students have a high quality arts program. Do you know an art teacher or teacher who uses arts-integrated instruction that should be featured on this blog? Please let me know about them! I'd like to feature more successes in arts education.